Kick off your visit on the 16th (Mon): get engrossed in the history at Arktikum and then look for gifts at Your Piece Of Finland. 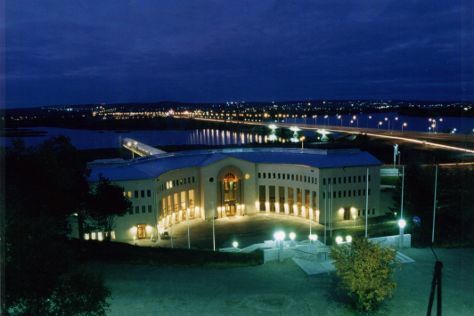 To see ratings, traveler tips, maps, and other tourist information, refer to the Rovaniemi driving holiday planner . San Juan, Puerto Rico to Rovaniemi is an approximately 23.5-hour flight. The time zone difference when traveling from San Juan to Rovaniemi is 6 hours. Traveling from San Juan in November, expect Rovaniemi to be much colder, temps between -2°C and -7°C. Finish your sightseeing early on the 17th (Tue) so you can drive to Saariselka. On the 18th (Wed), gear up at Saariselka Ski & Sport Resort. Keep things going the next day: see the interesting displays at Gold Prospector Museum, explore the wealth of natural beauty at Urho Kekkonen National Park, then have fun at Action Park, and finally look for gifts at Hippupuoti Gift Shop. To see where to stay, traveler tips, ratings, and more tourist information, read our Saariselka trip builder app . Traveling by car from Rovaniemi to Saariselka takes 3.5 hours. Alternatively, you can take a bus. November in Saariselka sees daily highs of -3°C and lows of -10°C at night. Wrap up your sightseeing on the 19th (Thu) early enough to travel to Levi. Start off your visit on the 20th (Fri): take an exotic tour of a safari tour, then have some family-friendly fun at Kid's Land, and then get your game on at G2 Ice Karting Levi. To find other places to visit, traveler tips, photos, and other tourist information, go to the Levi trip maker . You can do a combination of bus and flight from Saariselka to Levi in 3 hours. Alternatively, you can drive; or take a bus. 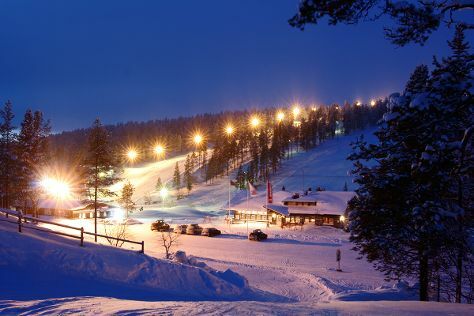 In November, daytime highs in Levi are -3°C, while nighttime lows are -11°C. Wrap up your sightseeing on the 20th (Fri) early enough to travel back home.